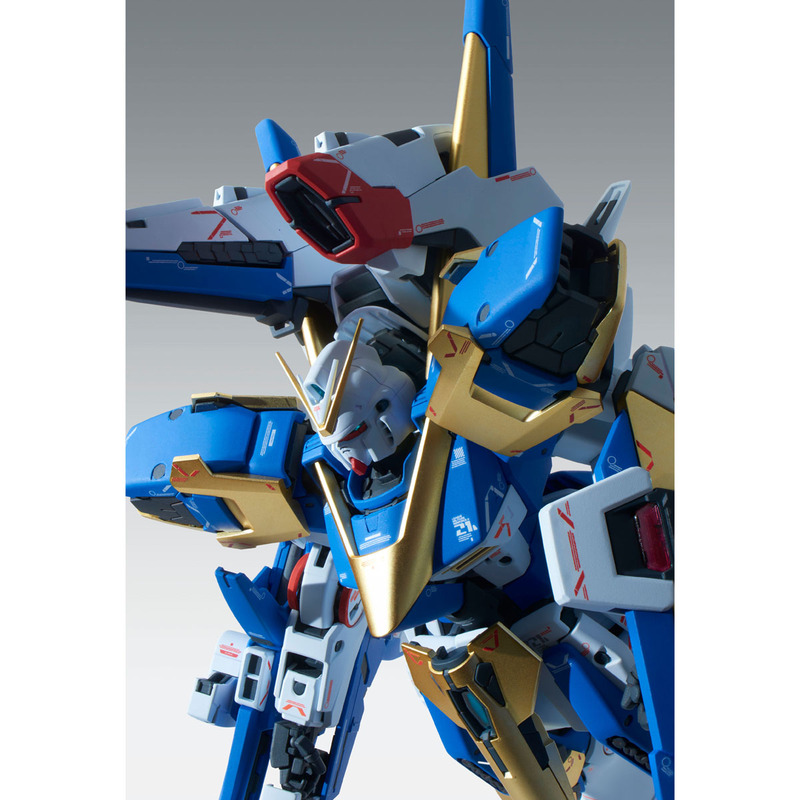 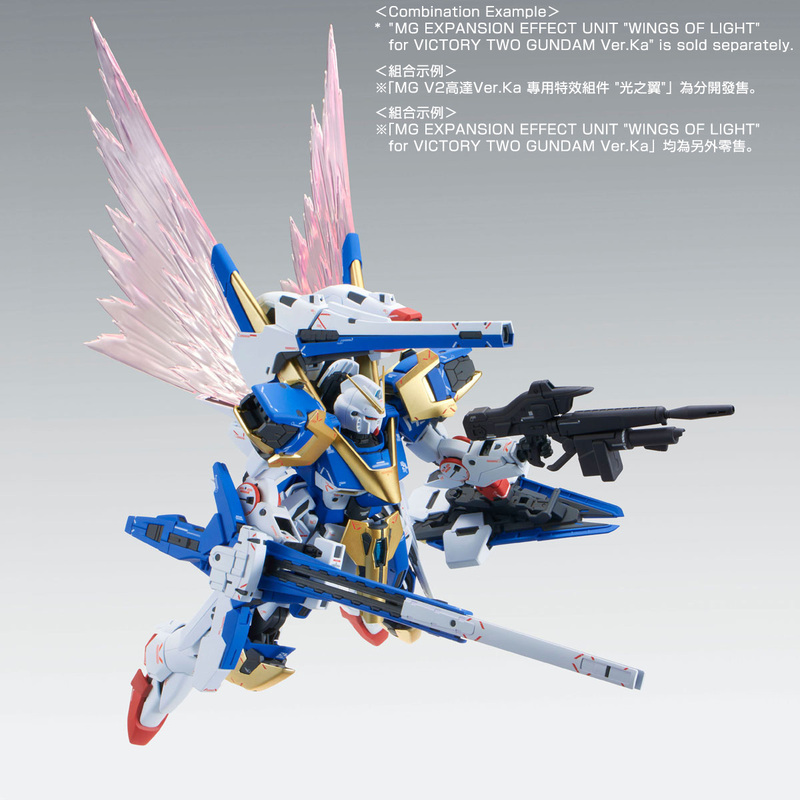 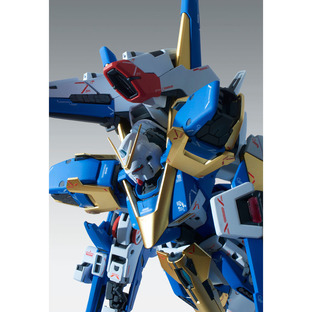 ●　Gimmicks and style coexist in this ultimate Victory Two Assault Buster Gundam "Ver.Ka." Additional weapons of the “Assault Buster” mode, including its heavy weapons and offensive/defensive armaments, are reproduced by new moldings. 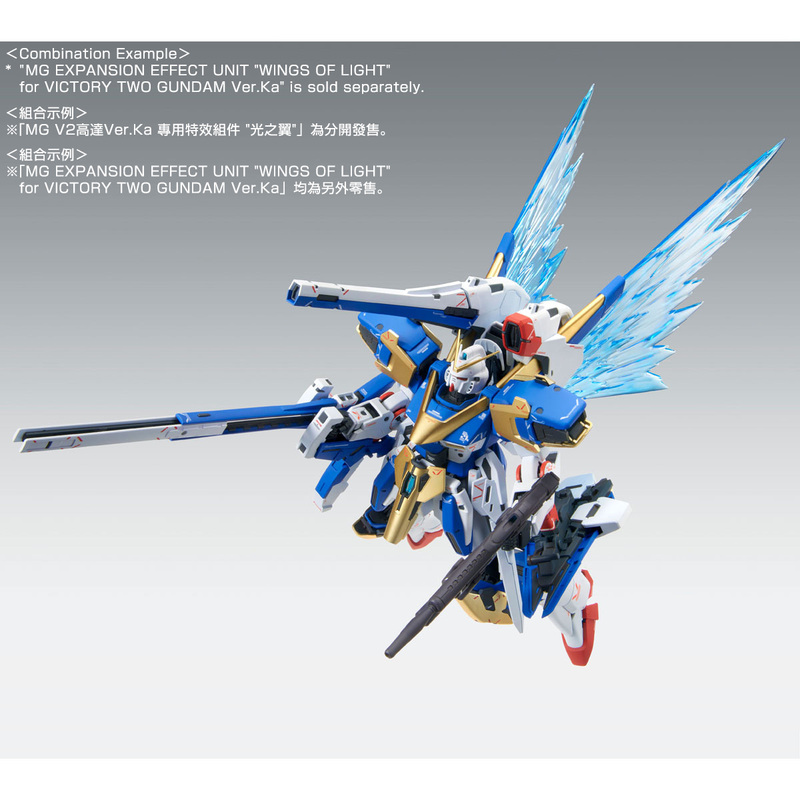 The giant Mega Beam Rifle composed of the barrel unit and the control unit is reproduced by new moldings. 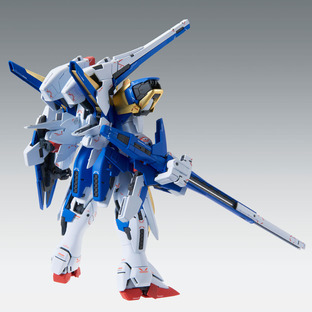 The barrel unit slides and the grip, aim sensor and the heat exhaust fins include transforming gimmicks. 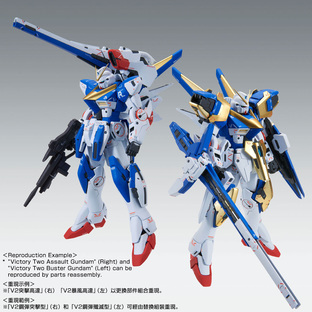 V.S.B.Rs on the waist are reproduced by new moldings. 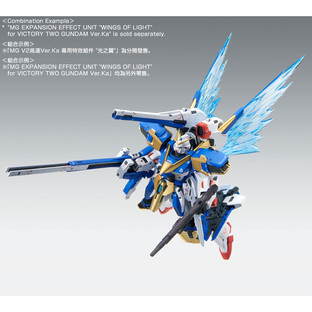 Their transformed mode can be reproduced via slide gimmick. 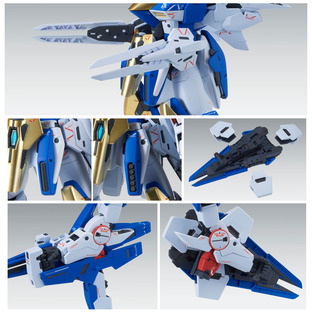 The Mega Beam Shield is reproduced by new moldings. The three barrier bits can be split and detached. 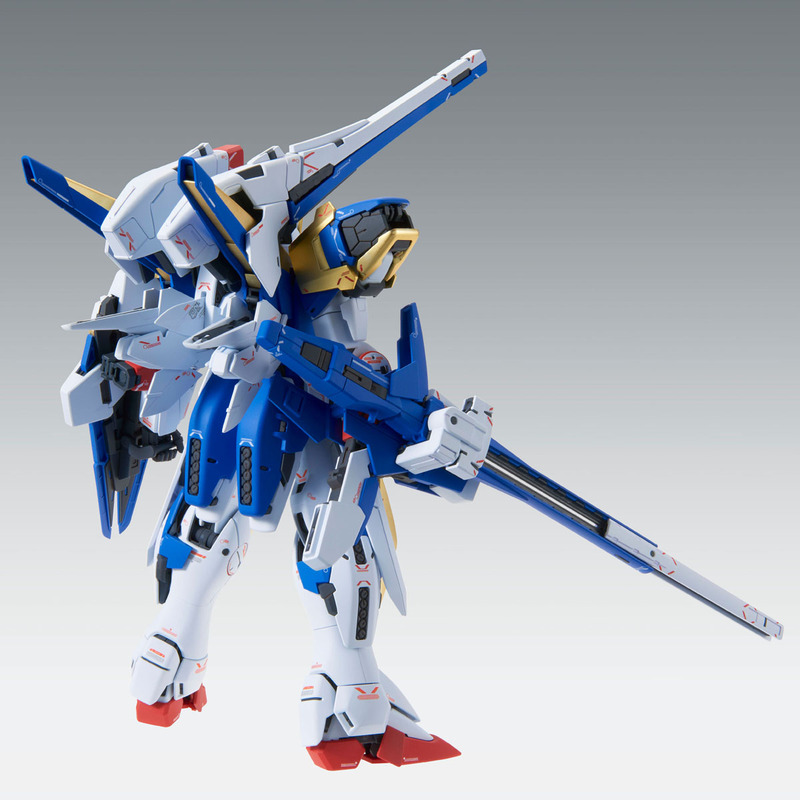 The six Missile Pods on the Waist and Leg parts can be replaced with parts reproducing the hatches either closed or opened. Mega Beam Canon and Spray Beam Pod, additional weapons on the backpack, are reproduced by new moldings. 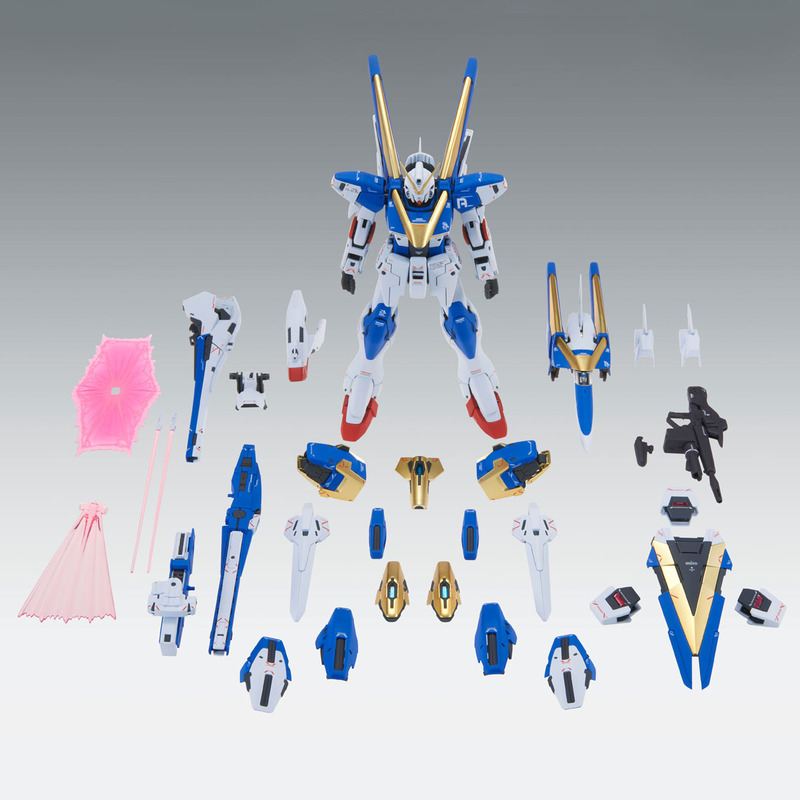 ●　Victory Two Assault Gundam and Victory Two Buster Gundam can be reproduced via reassembly. 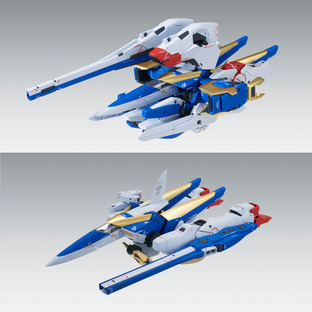 allowing the switching between the heavy-armored Assault mode and the heavy-armed Buster mode by reassembling its parts. Its characteristic yellow and gold parts are colored by matte gold coating. 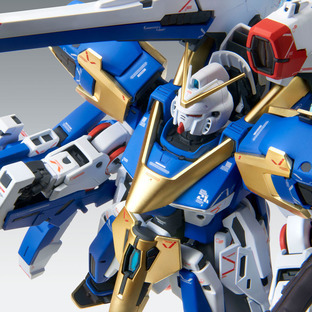 Also its red, blue, and white parts are renewed to match its image in the original anime. Includes updated parts of the newly structured internal frame and parts of exteriors to hold the various armaments of "Assault Buster." 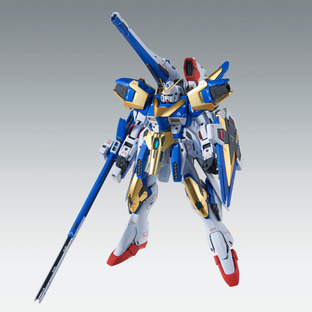 Includes newly designed water decal markings for enjoying the "Ver.Ka" Victory Two Assault Buster Gundam. The full color package uses newly drawn illustrations by Katoki Hajime.